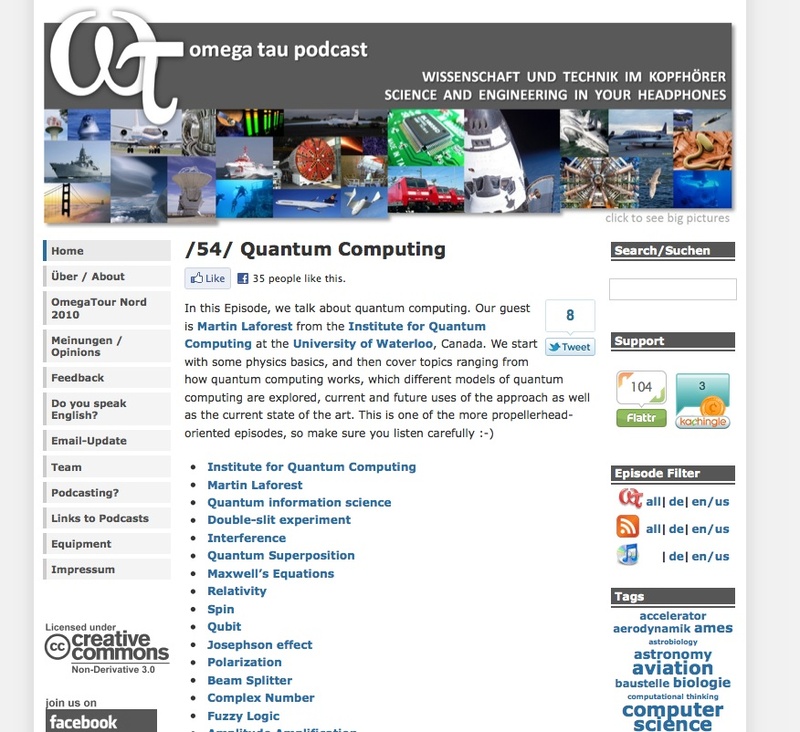 I recently did an interview at OmegaTau Podcast on the topic of quantum computing. This really interesting two-person not-for-profit organization was created to offer podcasts on topics in science and engineering. What a great experience! Check out my first podcast and find out what I think about how quantum computing works, models of quantum computing, current and future uses and my take on the current state of the art.